Developing, Distributing, and Supporting Award Winning Software since 1990! Back in 1990, Meyer & Associates was founded in the midst of California’s exploding Silicon Valley for the purpose of providing network design, installation and support consulting services on the Novell NetWare platform to numerous large clients in the East Bay / San Francisco area. Within a short time after entering the market, it became apparent there was a lack of mature network and server management tools available for the rapidly evolving Novell NetWare LAN market. With experience having developed software tools for migrating Datapoint ARCNET (Attached Resource Computing NETwork) users to PC networks, including NetWare, since the early 80’s, as well as having been a Beta site for both Novell and SMC in the early networking days, the primary focus shifted from consulting services to the development of network and server management software supporting the Novell NetWare platform. As part of this decision in 1991, business operations were relocated to Austin (TX) and the company was incorporated as Avanti Technology, Inc. Avanti quickly evolved from a single person, bootstrapped startup into one of the leading developers of enterprise-wide network and server management software solutions supporting the Novell NetWare File Server platform. 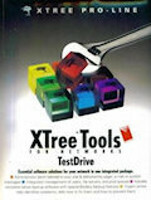 Some of Avanti’s early technology was subsequently licensed to XTree and became an integral part of XTree’s Tools for Networks product. Other technology was later developed for or incorporated into products from 3Com (NConsole SNMP MIB), HP (NConsole SNMP MIB for OpenView/PerfView), Central Point (NetWare utilities) and Command Software (Net-Prot Anti-Virus NLM Engine). In addition to those development efforts, Avanti continued to develop and distribute its own line of award winning software tools supporting the Novell NetWare platform for over 20 years. Never forgetting its consulting roots, Avanti has long been recognized for its customer service. The combination of technical expertise, quality software development practices and exceptional customer service resulted in Avanti never having a product returned despite offering an unconditional 90 day satisfaction guarantee. Moreover, the installed base became a major source of new business generation through referrals and on-line recommendations. Not including technology developed for other companies, Avanti’s suite of software products have been installed at thousands of sites to manage tens of thousands of Servers around the world ranging from SMBs to almost half of the Fortune 500 at several points, educational institutions, and many branches of the U.S. government. Frequently reviewed as Best In Class and considered the standard by which other competitors were judged, Avanti’s products were critically acclaimed and strategically used. Avanti’s primary products have seen life cycles in excess of 10 years with one product still in use at several large installations almost 22 years after its initial release, despite Novell having designated NetWare as End Of Life in 2010. Although new product development was phased out in December 2012, several sites large sites with over 50 active NetWare servers continue to utilize Avanti’s software solutions (as of April 2017). 1991 Meyer & Associates founded as a NetWare integration and support consulting firm (San Ramon, CA). NetAlarm released (first stand-alone monitoring / alerting utility supporting NetWare). Incorporated as Avanti Technology, Inc. (relocated to Austin, TX). NetScope released (first PC software based protocol analyzer utility supporting NetWare). NetTrack released (first performance measurement / trending utility supporting NetWare). 1994: NetAlarm / NetTrack technology licensed to XTree Corp. as core for the XTree Tools for Networks – NetWare product suite. Central Point Software subsequently acquired XTree Corp. and rebranded the product suite (1993). Symantec Corp. later acquired Central Point Software and discontinued the product suite (1994). 1993: Net-Prot Anti-Virus Real-time Scanning Engine NLM for NetWare custom developed for Command Software Systems (the first Anti-Virus NLM capable of providing real-time file access monitoring and without patching the NetWare OS kernel). 1994: NConsole released (comprehensive Server monitoring / trending / capacity planning utility supporting NetWare). NodeInfo released (client connection / file access management utility supporting NetWare). TaskMaster released: The first fully integrated data management, task automation, and scripting utility; The first RSYNC utility [Remote Synchronization solution for Server-to-Server data replication and synchronization used for backup, disaster recovery, and software distribution purposes]; And, the first multi-file system replication and synchronization utility concurrently supporting DOS/Windows, Macintosh/AFP, and NFS file systems on NetWare Servers. 1995: NConsole SNMP MIB for NetWare supporting OpenView and PerfView custom developed for Hewlett-Packard. 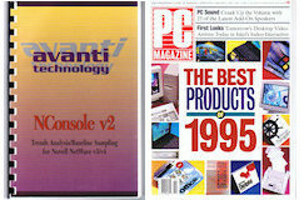 1996: NConsole recognized by PC Magazine as “One of the Best Products of 1995” (Networking and Communications Software along with Intel LANDesk Management Suite and Microsoft Windows NT v3.51). 1998: Colorado Springs, CO office opened. 1998: TaskMaster becomes first RSYNC utility to incorporate real-time compression and encryption technology during data transfer. 2000: TaskMaster chosen as the Data Management / Data Security / Disaster Recovery solution for the 2000 Dicennial Census over Novell’s NetWare Replication Services (NRS) managing over 10,000 computers, including more than 500 NetWare Servers, across four data capture centers, 12 regional Census centers, and 520 local offices providing nightly replication and synchronization of data between the local offices and data centers without any down time or loss of data. 2002: TaskMaster became first replication and synchronization utility to incorporate Unicode (long) name space support. 2004: TaskMaster selected as the recommended Data Management / Data Security / Disaster Recovery solution for the U.S. Court Systems (Federal, Circuit, and Appellate). 2005: TaskMaster named #2 among the Most Popular Tools by NetWare users voting on Novell’s Cool Solutions Annual People’s Choice Awards. 2006: TaskMaster commended in law journal for helping large regional law firm with offices in New Orleans and Houston maintain operations after hurricanes Katrina and Rita without down time or loss of data. 2008: Novell designated March 2010 as the End of General Support for NetWare File Server NOS product line. 2009: Novell designated December 2010 as the End of Life for NetWare File Server NOS product line. 2010: All company operations relocated to Dripping Springs, TX. 2012: As a result of Novell’s ending the NetWare product line and considering Avant’s over 20 year exclusive association with NetWare, the decision was made not to try to pivot the company in a different direction but to allow operations to phase out via attrition. New product development ceased (only maintenance and support operations were continued for installed products). Today: Avanti continues to support a small base of TaskMaster users each with over 50 NetWare Server licenses still actively in use. Website Design / Theme Customization: Avanti Technology, Inc. Content © 2019 Avanti Technology, Inc.